Today in Masonic History - Happy Mother's Day! Today in Masonic History it is Mother's Day (U.S.). Mother's day was founded in the United States in the early part of the 20th century. As the day was adopted in other cultures around the world the date has varied, although generally it is in either March or May. 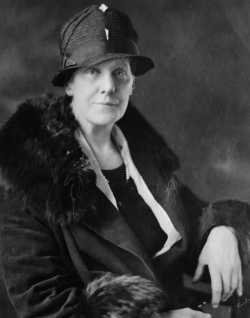 The first mothers day was celebrated in 1908 by Anna Jarvis. Her mother had passed away in 1905. At that time Anna began her crusade to make Mother's day a holiday to commemorate her own mother Ann Jarvis. Ann Jarvis was a peace activist during the American Civil War and treated soldiers on both sides of the conflict. In 1914, President Woodrow Wilson signed a presidential proclamation creating Mother's day. At the time of the proclamation every state in the United States was already celebrating the holiday on one level or another. In Masonry one of our guiding principals is to honor and respect women. So much so that the Order of DeMolay, an organization founded by a Freemason, has as part of it's ritual a ceremony dedicated to mothers. The purpose of the ceremony is to remind young men of the importance of honoring and respecting their mothers. No matter who we are in life we have our mother to thank for our presence in the World. As men and masons we should carry that with us and remember to show the love and respect due our mother and to all women the World over. Take this day to commemorate that love that has carried you through life, if you can, pick up the phone and call your mother to wish her a Happy Mother's day. If that is no longer an option, find another way to honor the first woman who loved and cared for you as you came into the World. Happy Mother's Day! Now go clean your room!